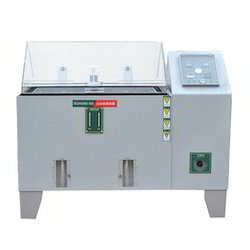 We are the leading Manufacturer and Supplier and Exporter of all type of Test chambers in Chennai,Tamilnadu,India. 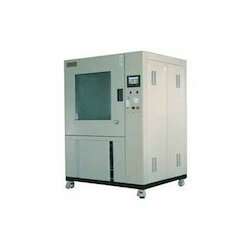 We are the Leading Manufacturer, Supplier and Exporter of Temperature Cyclic Test Chamber in Chennai, Tamilnadu, India. Over the years of experience in the industry, we have been able to provide the customers with an astounding assortment of Dust Chamber. The quality products offered by our organization is designed and developed by making use of premium-grade raw material, obtained from the reliable sources of the market. Our customers can utilize this range according their demands and requirements. 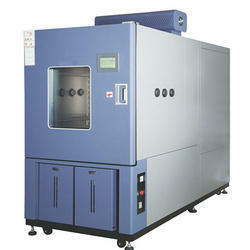 We are a leading name in this domain engaged in offering our prestigious patrons Humidity Chamber. 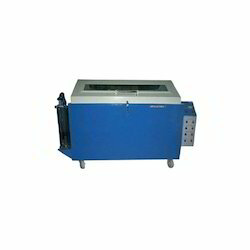 These humidity chambers are manufactured as per the customer’s required specification by making use of optimum quality raw material and advanced machinery. The inner chambers and trays are developed using high-grade stainless steel, while the outer door is made up of mild steel. Besides, the outer doors are designed using with magnetic gasket & lock key arrangement and trays are adjustable at any distance. From the day of commencement, we are engaged in catering to the variegated requirements of the customers by bringing forth a comprehensive Salt Spray Chamber. These products are made up of non corroded material of acrylic/polypropylene and P.P. coated SS 316 double walled chamber. 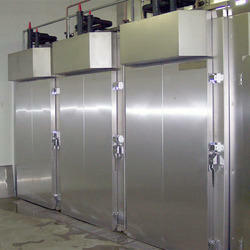 We are the leading Manufacturer and Supplier and Exporter of Cold Chamber in Chennai, Tamilnadu, India. 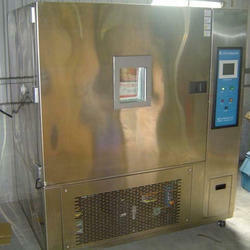 We are the leading Manufacturer and Supplier and Exporter of Water Spray Chamber in Chennai, Tamilnadu, India. 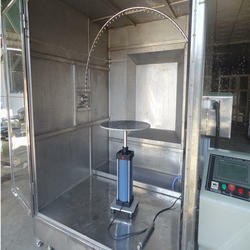 The range of environmental testing chambers offer the ideal solution for temperature and climatic testing, simulation and exposure to weather, temperature changes, aging and stress testing. 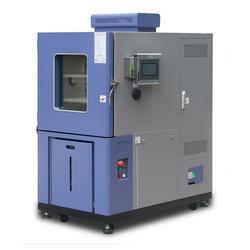 Looking for Test Chamber ?